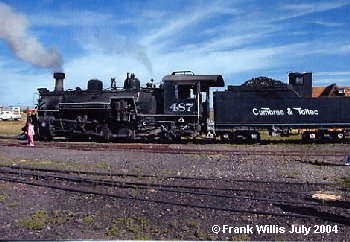 One of the most enjoyable steam train rides for a railroad fan is the all day trip on the Cumbres & Toltec Railroad between Antonito, CO and Chama, NM. 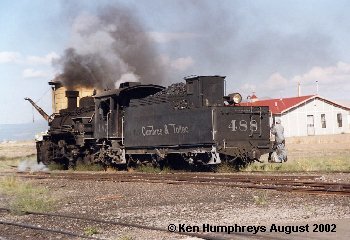 The Cumbres & Toltec is America's longest and highest narrow gauge railroad. 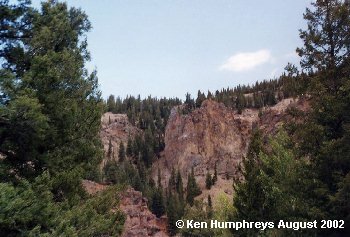 The line is a remnant of the San Juan Extension of the narrow gauge part of the Denver & Rio Grande Railway. 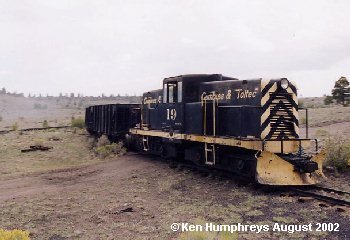 Narrow gauge (3-feet) was chosen for the line so that the railroad could make tighter turns in the mountains and thereby reduce construction costs. 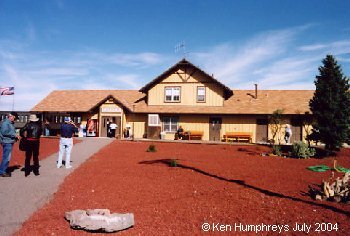 The railroad was built starting in Antonito in 1880, passes through the spectacular Toltec Gorge, over the 10,015-foot Cumbres Pass, and down a 4 percent grade into Chama. It was completed on December 31, 1880. 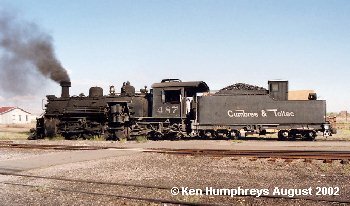 The Cumbres & Toltec is now jointly owned by the States of Colorado and New Mexico and crosses the state line between Colorado and New Mexico eleven times between Antonito and Chama. I have had the opportunity to take the trip on two occasions and, if I get the chance to do it again, I most certainly won't miss the opportunity. The groups of photos below were taken on those two trips. 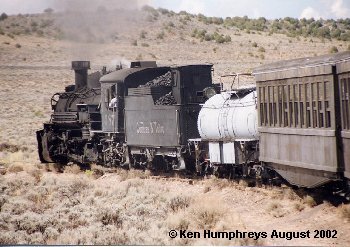 They are but a small sample of the highlights of a trip on the Cumbres & Toltec. Click on each image below to see its full sized version and related photos. Hit your back button to return and view the next group of photos. The photos appear on two pages. All images are copyrighted by Ken Humphreys. Entering Mud Tunnel. 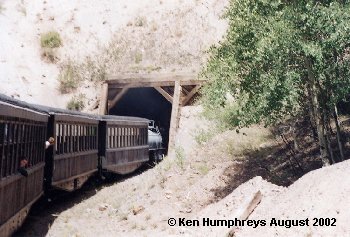 This tunnel required wooden supports over its entire 342-foot length.